You guys, it's already the 3rd of December. Where the heck does the time go?! December is a wonderful time! Christmas is near and the holiday spirit is in the air. Seriously, London, you do Christmas season right. I am definitely amazed. However, sadly, December means I leave London soon, and worst of all, it means my time at Family Cakes will be coming to an end. My world is about to come crashing down. No more cake to bring home on Fridays, no more yummy food at work, and no more Andrew, Daniel, and the rest of the crew. So basically, no more fun. I should also mention Minnesota got about 6 inches of snow yesterday and it's only just begun. This is why we call it Minne-SNOW-ta. Regardless, December/Christmas season is a time for traditions and family. While I might be leaving a wonderful city and an awesome internship, I get to go home and see my family again. For me, when I get home, I will be back just in time to partake in my favorite holiday activity--cooking and baking! I am going to share some of my favorite recipes with you and you should share some of yours. 3 - Bake for 10 to 12 minutes in the preheated oven. 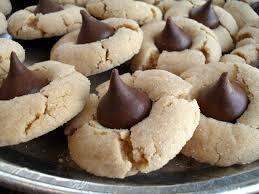 Remove from oven, and immediately press a chocolate kiss (or other candy) into each cookie. Allow to cool completely; the kiss will harden as it cools. 1 - In a medium-sized mixing bowl, combine cream cheese, sour cream, and taco seasoning. Spread this mixture in a 9-inch (or a little larger) round serving dish. 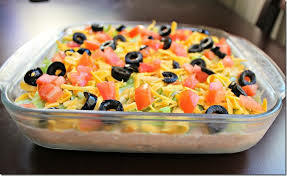 Top the mixture with lettuce, Cheddar cheese, tomatoes, bell pepper, and black olives. 1 - In a large microwavable bowl, mix cereals, nuts, and pretzels; set aside. In a small microwavable bowl, microwave butter uncovered o High for about 40 seconds or until melted. Stir in seasonings. 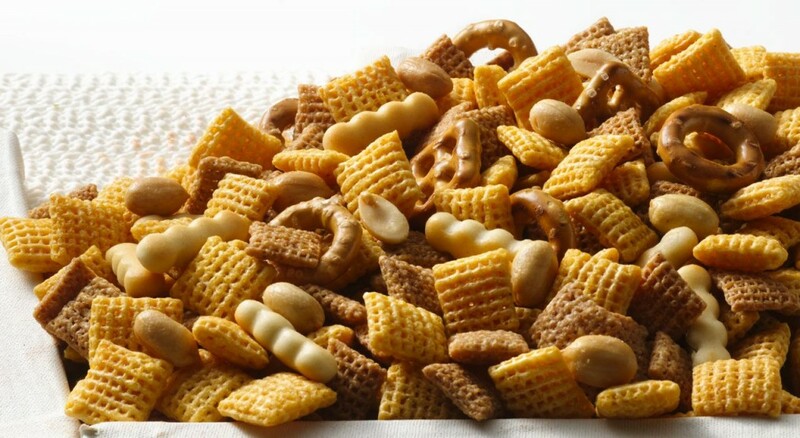 Pour over cereal mixture, stir until evenly coated. 2 - Microwave uncovered on High 5 to 6 minutes, throughly stirring every 2 minutes. Spread on paper towels to cool. Store in airtight container. There are just a few recipes I like and are likely to be seen every year at Christmas, and they are really easy too. My question for all the readers is: What is your favorite thing(s) about the holiday season? Leave comments below and let me know about your Christmas! You can comment about your favorite holiday tradition, the reason winter is your favorite season, or maybe it's not and your favorite this is when it's over, either way tell us your favorite thing! Since I won't be here for Christmas I want to hear all about it! And of course, if cooking and/or baking is not your forte there are always places that can do it for you! You probably thought I, the American intern, was going to make another post about Thanksgiving. Well yes, you would have been correct because that was my initial intention. However, while I was searching for inspiration and interesting things to put in this post (like fun facts about cakes) I stumbled upon something that here at Family Cakes is more important that silly Thanksgiving. 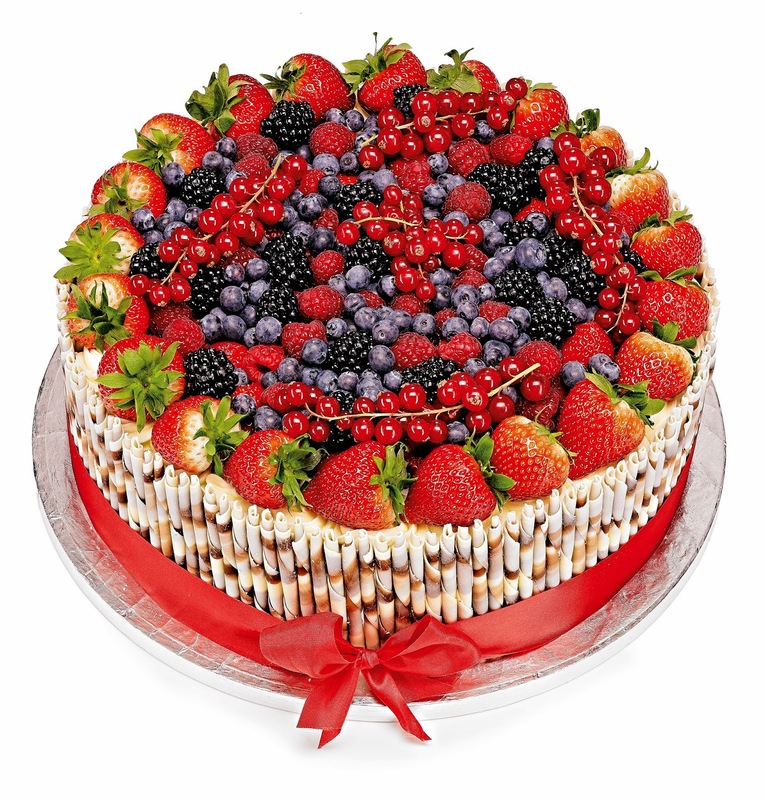 Yesterday, November 26, was National Cake Day!!!!! Your day should have been full of cake filled festivities, and since you probably wasn't, I made it my responsibility to provide you with as many cake activities, quizzes, and other fun stuff to help you get into the holiday spirit because lets be real, every day should be National Cake Day. First, lets test your knowledge of cakes with this quiz - How Much Do You REALLY Know About Cake? I only got 3 out of the 13 questions correct.. I still have a lot to learn, but rest assured, I do not do any of the baking of cakes here. I only eat them and we definitely have some expert bakers at Family Cake Company. Now to answer the more important life questions - What Cupcake Flavor Are You? & What Cake Matches Your Personality? My results said I am a strawberry cupcake and have a carrot cake personality. So that's cool. Here are some fun facts about cake to impress all your friends with! Although in existence long before, Victorian England popularized the Fruitcake between 1837 and 1901. It was a custom at the time for unwed women to sleep with a piece of fruit cake under their pillow so they could have sweet dreams about the man they would someday marry. The world’s largest Sponge Cake weighed in at 2.5 tons and measured 26 x 16 feet – the size of a small New York City apartment! It took 3 days to bake and more than 3,000 eggs and 1,102 pounds of blackberries, pineapple, and strawberry were used. 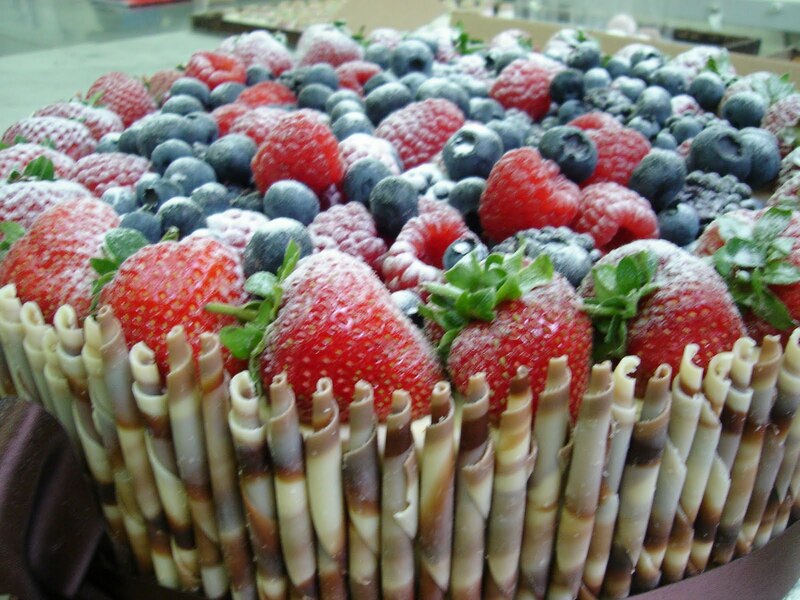 The dessert was then cut into 10,000 pieces and shared with the town of Seiersberg, Austria where it was baked. 29 cupcakes in 30 seconds is the record for eating cupcakes. The most expensive wedding cake ever commissioned cost $30 million. Queen Victoria was one of the first to have pure white icing on her wedding cake. I will not leave you with a website where you will find a bunch of computer games about cakes. Enjoy yourself! 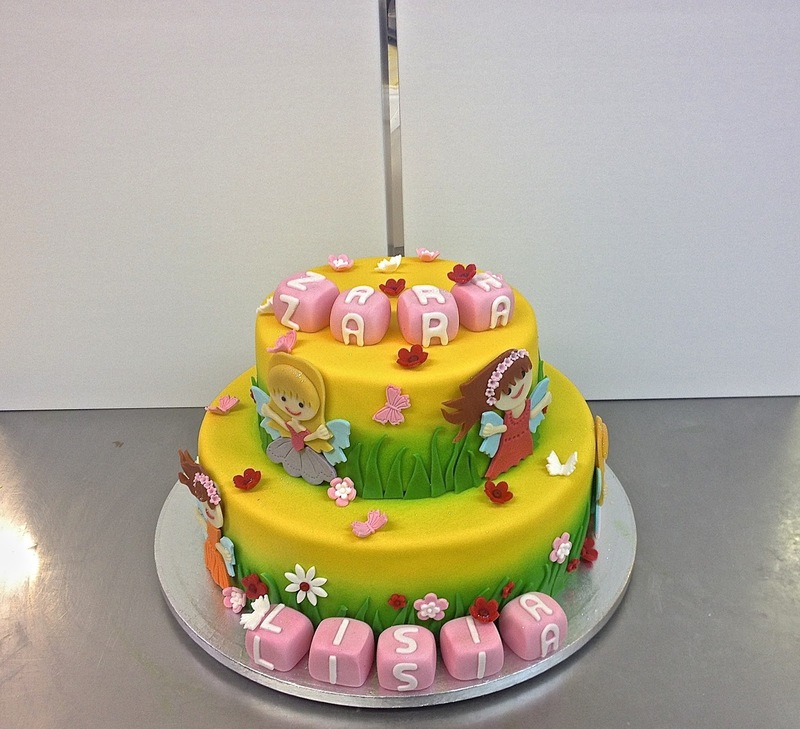 We can make your cake dreams come true. Check out some of the cakes we have done these last few weeks! 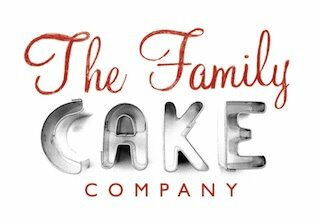 I’m the new intern here at Family Cake Company. My name is Jenna Paszkiewicz, but people often call me JP because my last name is hard to pronounce. I am from Minnesota and study accounting at The College of Saint Benedict/Saint John's University (CSBSJU). I will be at FCC for the next seven weeks. I have been in London since 2 September and have loved it so far. However, I am really excited to get started here at Family Cakes. For the last five years I have worked as a waitress at two different restaurants so the food industry and the hustle and bustle that comes with it has a special place in my heart. I will admit though, my favorite part of working in the food industry is, of course, the food, which also has a special place in my heart. It's only my first day and I have already had the most delicious croissant. It is a good thing I walk everywhere in London or else I would be in trouble. While I hope to gain a lot of experience while working here I think the best part is all the friends I'm going to make because of all the goodies I will probably bring home. After my first day I got to bring home a little carrot cake and everyone wanted a slice of the action. I think we have all come to a census - I have the best internship. Aside of the treats, I think I do too. The Family Cakes crew here is great and I'm looking forward to taking up space here for the next few weeks. That's all I have for now. Stay tuned for cheesy jokes, a few bad puns, pictures of what's cooking over here at FCC!